J.C.Atkinson’s brand new personalised Pathway coffin won the special award for innovation at the Good Funeral Awards, ‘the Oscars of the funeral trade’. JC Atkinson was awarded the coveted title of Best Creative Company. The Creative Award was set up to recognise and celebrate the achievement of a creative business which has demonstrated innovation, business creativity, determination to succeed and commercial success. for high and medium environmental impact and was further named the overall winner of the Sunday Times ‘Best Green Company’ Award. This award is a national award and covers a large number of market sectors and organisations. We are absolutely delighted to have won this award, because it includes our employee’s verdicts on our aims and our achievements. Environmental awareness has been fundamental to our Company’s approach for many years, and we have proved by our continuing success that what is good for a company can be good for the environment too.Julian Atkinson, Managing Director of JC Atkinson. aims to support, highlight and celebrate business success in the region. The corporate Responsibility and Environment award recognises outstanding achievement in how companies behave towards the environment, the local community, their people and supply chain. are highly respected in the environmentally aware community. They are administered by ‘The Green Organisation’ which is an independent, non-political, non-activist, non-profit environment group dedicated to recognising, rewarding and promoting environmental best practice around the world. It is funded by membership and sponsorship, with valuable support from the Environment Agency, the Chartered Institute of Environmental Health, the Chartered Institution of Wastes Management, the Municipal Journal and several other professional bodies. has been accredited with the ISO 14001 standard which is the internationally recognised standard for the environmental management of businesses. It prescribes controls for those activities that have an effect on the environment. These include the use of natural resources, handling and treatment of waste and energy consumption. source Forest Stewardship Council® raw material, we went a further step forward and obtained Forest Stewardship Council® certification for our production facility this enables us to put the Forest Stewardship Council® logo onto the products we produce and gives our customers the assurance that the products they get from us have come from sources that do not further damage the environment. began the process of obtaining the Carbon Trust Standard. The Carbon Trust Standard was introduced as a way that companies could monitor and work toward reducing carbon emissions. The Carbon Trust Standard is widely considered as the world’s leading certifier of organisational carbon footprint reduction. Carbon Trust standard bearers have achieved over 3.6Mt CO2e certified reductions – equivalent to £165m in cost savings. had a policy of planting a tree for every solid coffin that we have sold. Thus far we have planted in excess of 10,000 trees! We are very proud of our tree planting initiative and we believe that planting trees is good way to show our commitment to improving the environment that we share..
to be working with local Community Interest Company Climate Action North East. Working with local schools and communities across the North East we are providing support for projects which address climate action including environmental and climate change education, litter picking and forest schools..
it's marketing and sales department in order serve the majority of the UK, and to better serve its customers. A unique and new service to offset the Carbon Footprint of a Funeral and offer green options in one plan. was launched. JC Atkinson plants a tree for every Country range coffin it makes or sells, planting to date over 10,000 trees. was introduced on all Country range coffins. For every coffin sold £10.00 is donated to groundwork UK to help families with fuel poverty, using their Green doctor initiative. re organised and re branded to better explain their values. For example our traditional coffins were rebranded into our Heartwood Coffin range. a new and modern range of ash caskets and keepsakes launched to aid those who wanted to better cater for their ashes after cremation. certification and implemented a robust environmental strategy, working to ensure all its coffins were certified, or only used wood from a known and ethical source. It stopped the use of unregulated rain forest mahogany type timbers from its production. JC Atkinson moved to its current location in Washington, Tyne and Wear. The build of the factory incorporated many environmentally friendly features. For example; Rain water storage for its own use saving over 200,000 litres of drinking water a year. Biomass combined heat and power system, utilising its own wood waste, the company burnt wood to heat and help power the factory. The company was overall Winner of the Sunday Times Best Green Company. Became a Carbon Trust Standard Bearer for reducing it's Co2 emissions year on year..
Won regional and national awards for its Environmental Best Practice. J C Atkinson offers coffins it does not manufacture like Willow, Seagrass and American caskets to cater for growing diversity and alternative funerals. 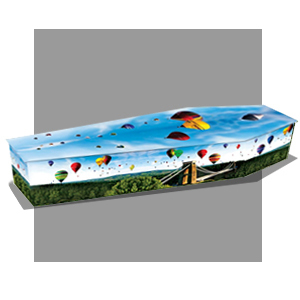 J C Atkinson innovates Reflections, then the only picture coffin on the market which was wrapped in printed paper which could have any design to a clients specification. Julian Atkinson takes over from Alan Atkinson. New purpose built production facility opened. JC Atkinson started to produce ready made coffins. During the 1960’s Alan Atkinson joined the company after leaving the services, he eventually became Managing Director when John Clifford Atkinson retired. 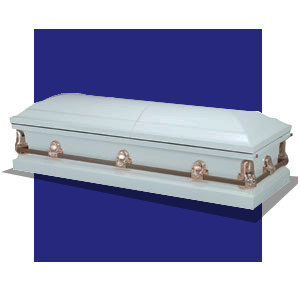 Production capabilities changed with coffins being made in their entirety. 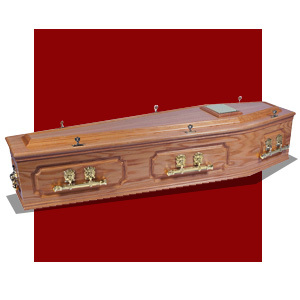 Finished coffins were made from all types of solid wood and veneered beche wood. This later ceased to be replaced with veneered chipboard. In 1936 by John Clifford Atkinson (the current owner’s grandfather), he established the business to supply local Funeral Directors (Undertakers) with coffin sets. Customers were regional, and consisted of many colliery Coops, which were established to benefit their customers. Timber was imported and transported by rail from the docks in Sunderland to the rear of the factory using the coal board lines and rolling stock (pre-privatisation). We use wood to manufacture a coffin. Wood is sourced from trees, it’s a natural organic product which is grown sustainable in many countries. It enhances land and provides valuable habitat for wildlife and plants. We only use wood from proven sustainable sources, the majority is Forest Stewardship Council or equivalent certified ensuring only sustainable wood is used. Using a wood coffin for cremation is good for the environment. The burning of the wood coffin aids cremation and diminishes the fossil fuel used (assuming the cremation is powered by gas or fossil fuel generated electricity). Wood / Chipboard degrades naturally, producing organic matter, CO2 and probably methane in the case of burial (anaerobic decomposition), occurs when there is no oxygen available. Our factory was built in 2006 to the highest of standards exceeding environmental regulations back then and even to this day. We generate our own electricity. On site we have installed 400 kw of Solar Panels. We completely re-processes all our own wood, using saw dust to power up to three biomass plants making it self-sufficient for heat across all of our three sites. In 1996 we founded Tree Tribute, an initiative which has been responsible for planting over 10,000 sapling trees. We support environmental good causes. We sponsor local and national environmental initiatives such as education and local community projects.